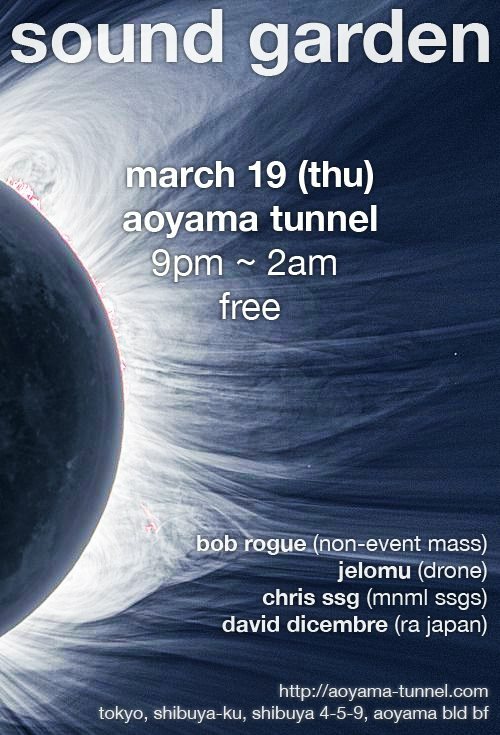 After a successful first event at Aoyama Tunnel, we are returning for another edition of Sound Garden. This month we are happy to be welcoming Bob Rogue as our guest. Chances are that if you’ve gone out in Tokyo, you probably know who Bob is. If not, come on Thursday and find out… Expect the usual Sound Garden combination of quality music and a friendly atmosphere. Come down and join us for a drink. Thursday 19 March, 21:00 – 2:00, FREE.